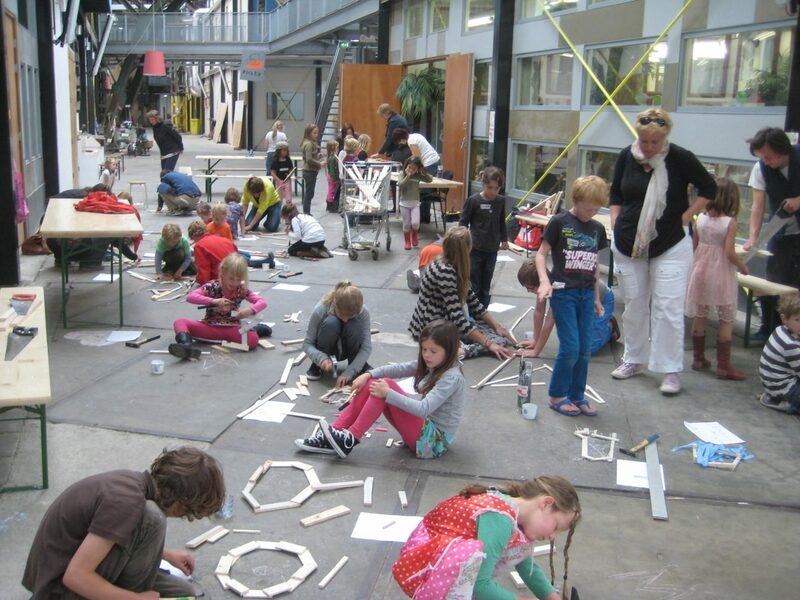 The NDSM Kinderatelier is an initiative of artists at the NDSM site in collaboration with the NDSM foundation. The children’s studio is based on the possibilities offered by the former shipyard. The initiative of children has been stimulated. A lot of residual material is used from the workshops, such as gas concrete, wood, textile, cardboard and bicycle tires. Technology is an important part. The design, the performance and the presentation will take into account (see if it works: speed, drive, turn, or give light).